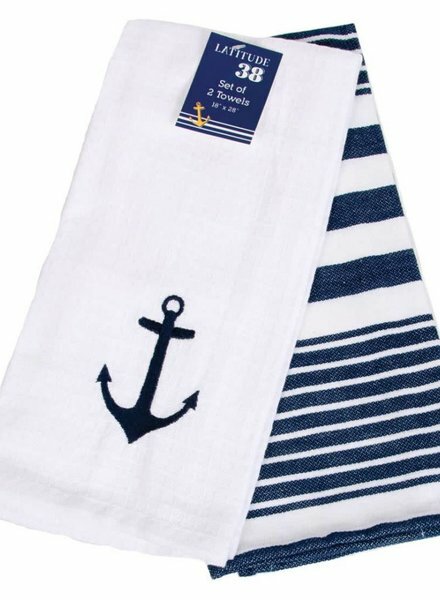 Showcase your nautical style with this embroidered dishtowel set! Cotton dishtowels feature embroidered anchor and striped designs. 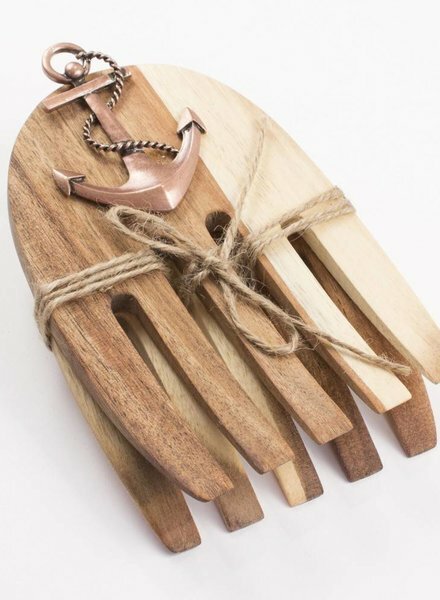 Wood salad hands with bronze anchor detail make the perfect addition to any nautical kitchen.